Personal Injury Notebook Tabs Discounts Apply ! 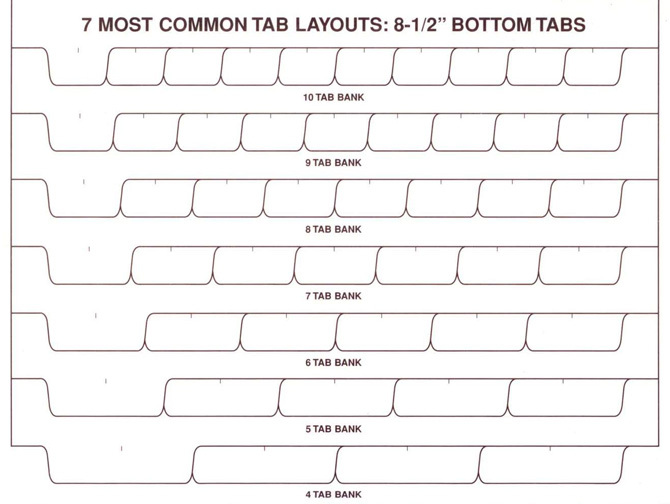 14 multi colored Mylar tabs. Pre-punched for use with 3-ring binders. This item comes 3 hole punched on the side. 1-49 sets: $3.25 ea. 50-99 sets: $3.06 ea. 100+ sets: $2.93 ea.